Since the past 7 years my day has been beginning with a hot cup of green tea, and that is without fail, no matter where I am. 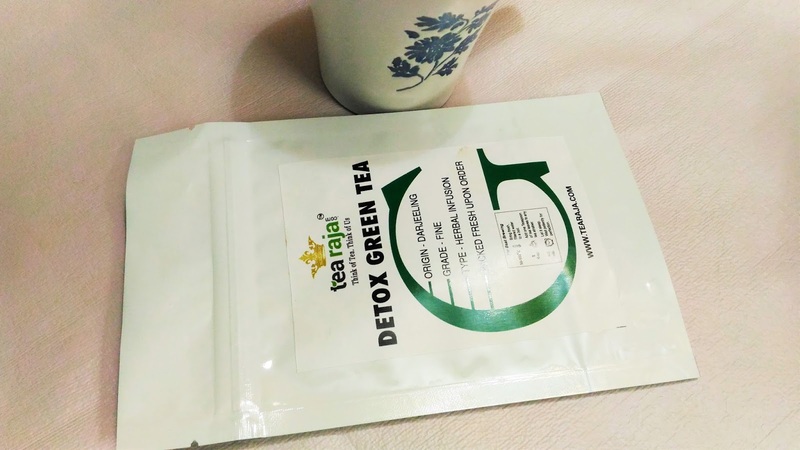 However, I am confessing that I am not a big fan of the general tea, just a cup of green tea a day is all I consume. 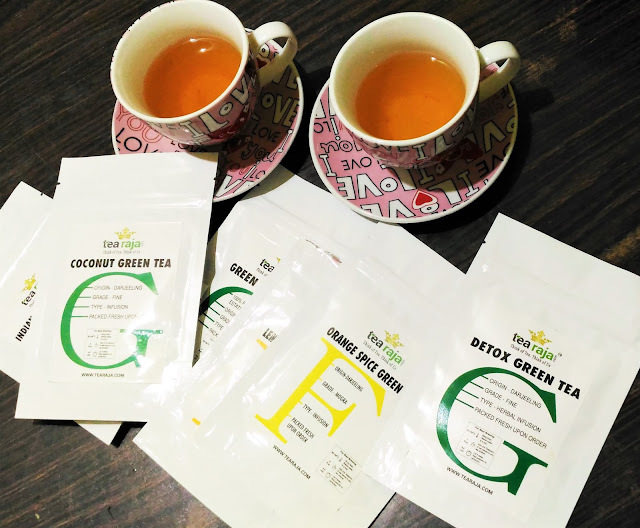 So, when Tearaja contacted me for reviewing their range of tea, I was a bit confused as I was not sure what to expect and what I should be reviewing. 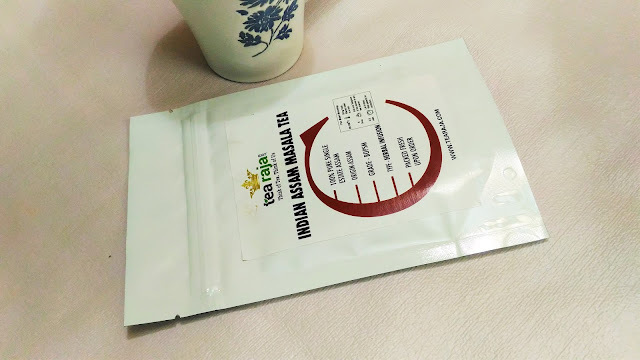 But when I received the package, I was quite fascinated with the description and flavors of the tea. Every cup of tea sold by Tearaja is sourced from the best tea gardens of India and Nepal. 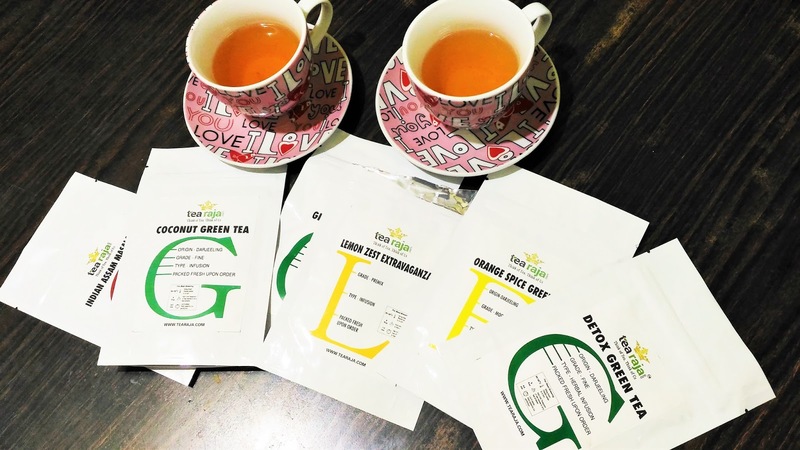 Once the teas are procured they go through the 3 step testing process before being served to the customers. 1.Coconut Green Tea: A Premium blend of Tearaja with an exotic combination of green tea, real coconut bits with a touch of Lemongrass and Ginger roots make this a delicious and distinctive tea blend that is both smooth and sweet. 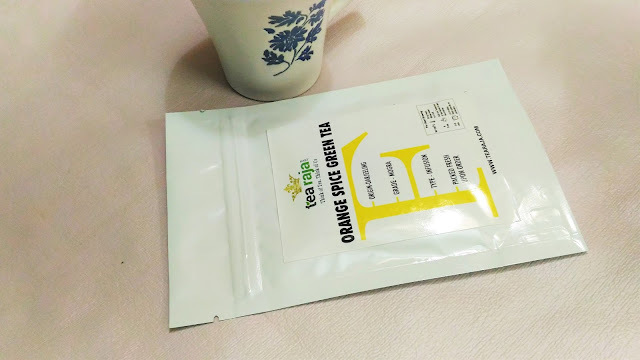 2.Orange Spice Green Tea: This Tearaja's special exotic green tea blend has a natural astringency, sweetened by the exotic fruity citrus of orange and finished with the deep, rich blend of cinnamon, all spice and cloves. 3.Green Tea Mint: This naturally sweet flavor and long-lasting candy-like Mint Aroma of pure peppermint blends smoothly with the pleasant, soothing character of Green tea. 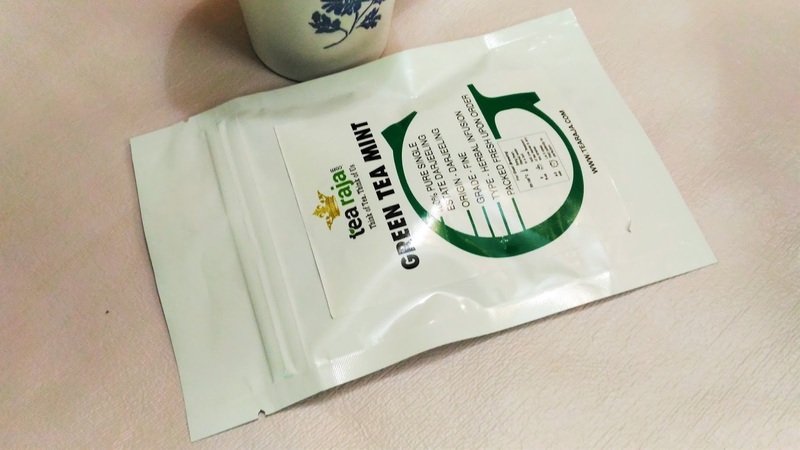 Green Tea Mint makes a wonderful, refreshing digestive to enjoy after a meal. 4.Indian Assam Masala Tea: Matching style with substance every sip of Tearaja's Assam Masala Tea tastes amazing and smells divine, uplifting the mood and creating a sensation of well being and freshness. Ours blend combines second flush Assam CTC tea with pungent ginger root, cinnamon, black pepper, cloves and cardamom to create a rich and spicy brew. 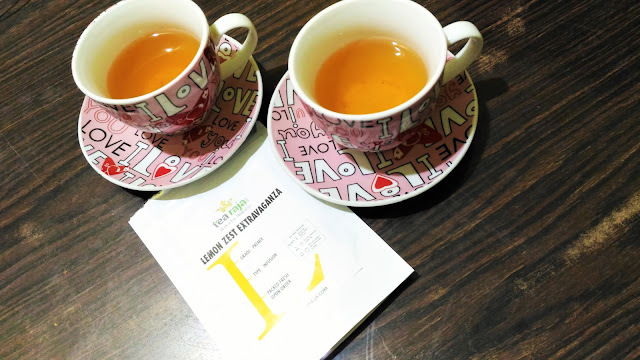 6.Lemon Zest Extravaganza: Lemon Zest Extravaganza is one of the hot selling product in today's world, Try the Tea in the Hot and Cold version of Lemon Tea. My experience: I like green tea so obviously so many types of green tea had made me quite happy. 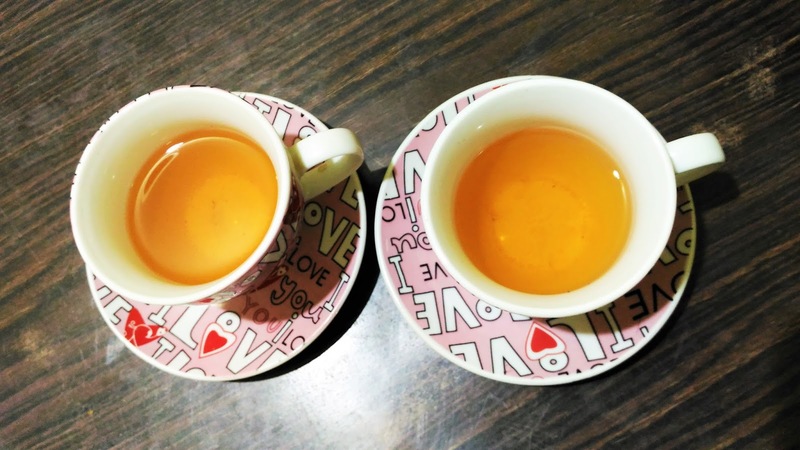 I was in Kolkata the time I had received the tea and it was raining bad. I had a bad cough & cold with fever. And after I received the Tearaja teas I increased my intake to 2 cups a day. And frankly the hot tea used to soothe the sore throat. It helped me energize and made me feel better with every sip. 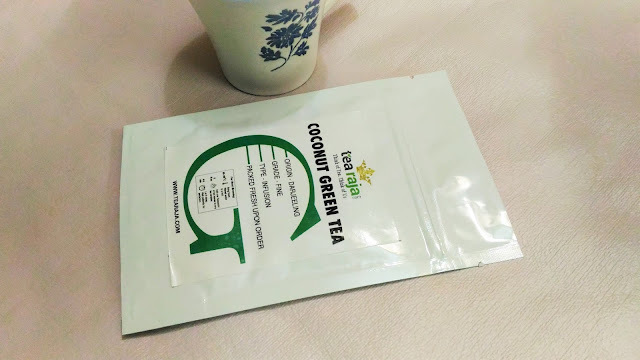 Some of the flavours of Tearaja tea are quite unique, like Coconut green tea. however, for flavours like Orange spice I was expecting a more Citrus touch. I liked the Indian Assam Masala tea the most. Tearaja offers a wide variety of tea, that are meant for the health conscious and tea connoisseurs. Each flavour is unique and is derived from the best possible way. To know more about Tearaja check their website here.